Dear Dutchgrun…I think we have something new for you for your next update. 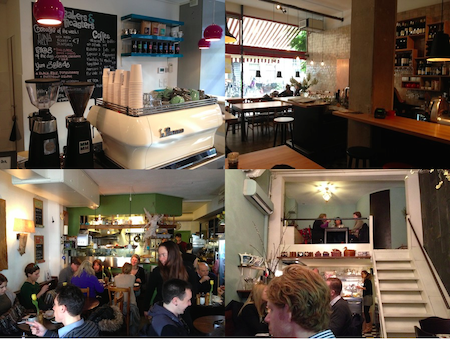 Happily purveying brunch at our new location – cafe Struik! Oh, cool. Have had many a beer at Struik. Curious if the brunch is as good! We loved Bakers & Roasters when it first opened, but I think it’s being killed by its own success. The last time we went it was 40 minutes wait (at 10am on Sunday), my “poached” eggs were hardboiled, and it was insanely loud in there. I’m a bigger fan of Drover’s Dog these days.